I have so many exciting posts coming at y’all soon! First up is Vanessa and Julius! Working with Vanessa and Julius was a unique experience as our first consultation was via Skype since they lived in Germany! Julius is from Germany, and Vanessa moved there to be with them until their wedding! Side note: we had hosted foreign exchange students while I was in High School and a little after, and we had one from the same city Julius is from: Munich! Pretty cool huh?! 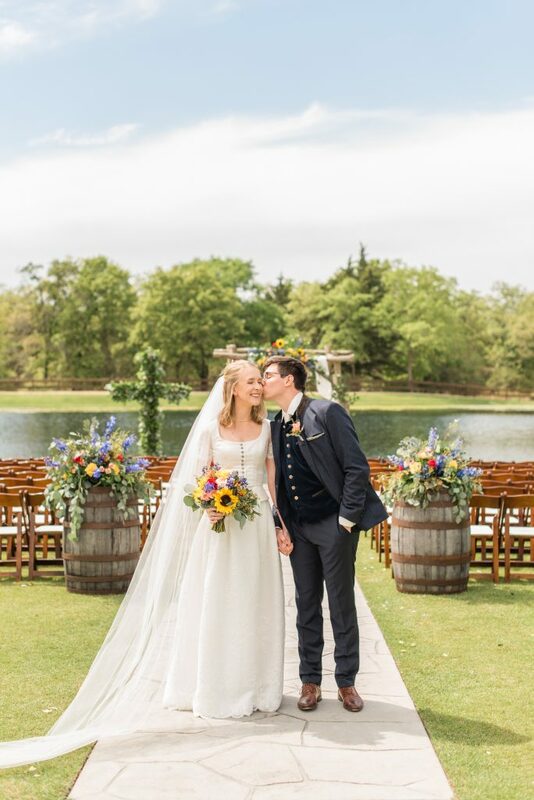 What was so fun about Vanessa and Julius’ wedding was that they really brought both of their cultures into their day creating a truly unique and authentic atmosphere to who they are as a couple! 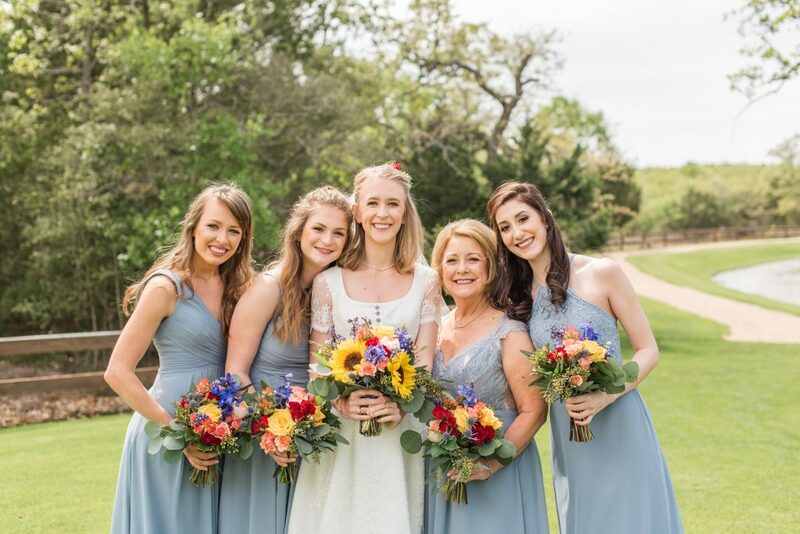 Their flowers were inspired by Texas Wildflowers, and as a special surprise I was able to actually add Texas bluebonnets and Indian paintbrush into the bouquets! 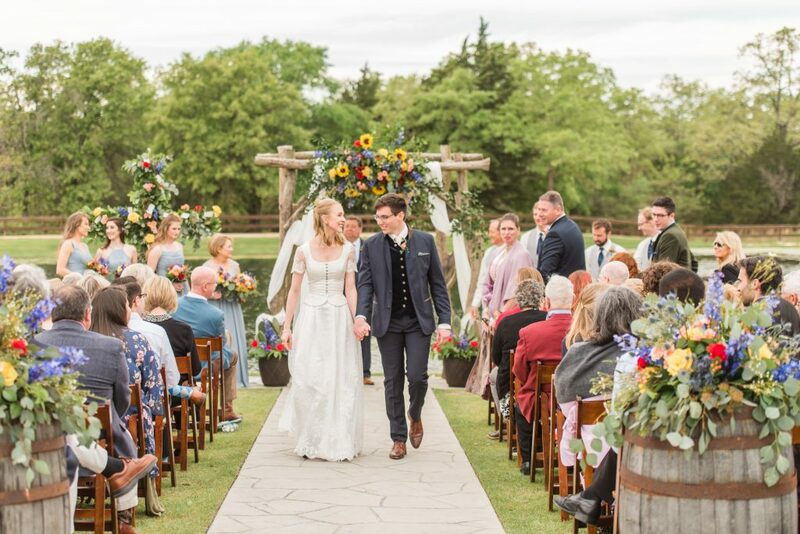 Their wedding was March 31, which was the ideal time to have a “Texas” wedding! Vanessa and Julius also incorporated Julius’ German heritage into their wedding as well! So many fun details! 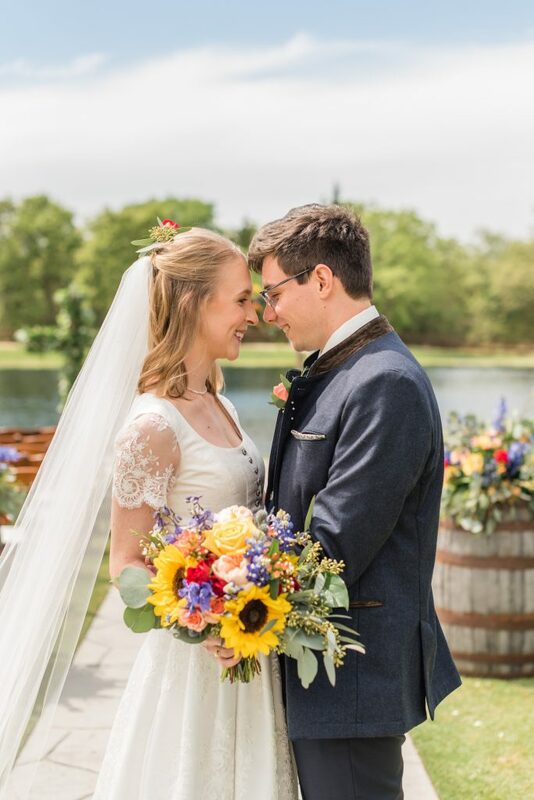 Here are a few favorites from Katelyn Todd Photography’s sneak peek she sent over! All images Katelyn Todd Photography! One thing that I adored about Vanessa and Julius’ details was this cross! 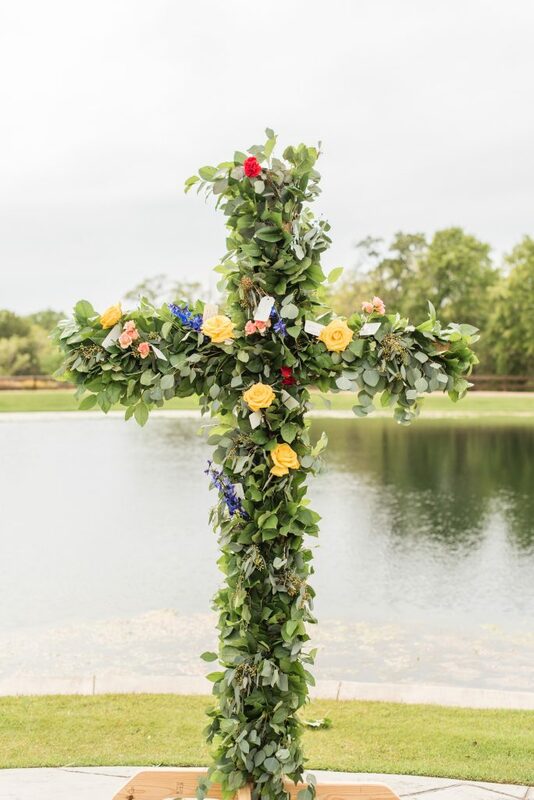 We covered it in greenery, and then guests were able to adorn the cross with blooms and encouragement when they arrived to the ceremony! How cute are they? 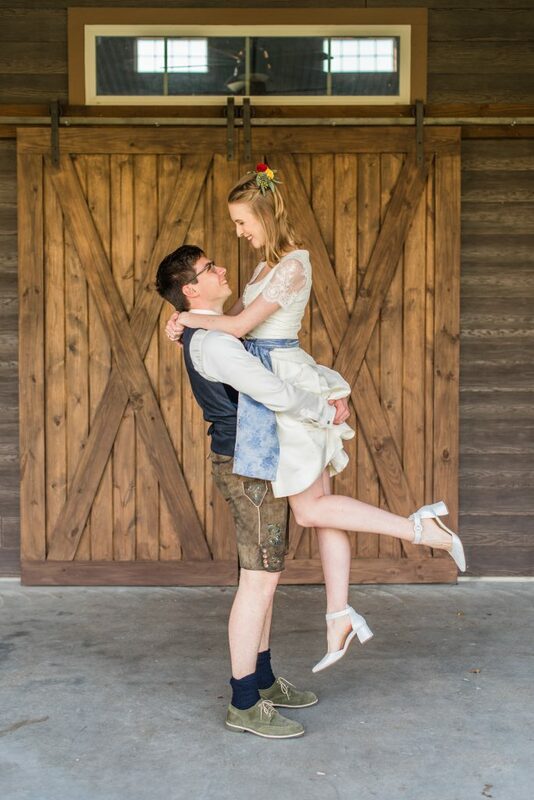 Outfit change into traditional German attire for their reception! Love it so much! Prayers for many years of joyful marriage!